Wang Yu-Fen graduated from the Dept. 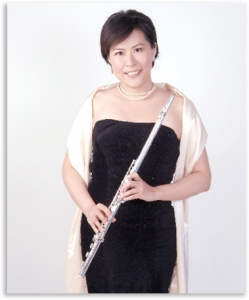 of Forestry and Resource Conservation, National Taiwan University (NTU), and then she received the Master degree of flute performance at the University of Texas at Austin. 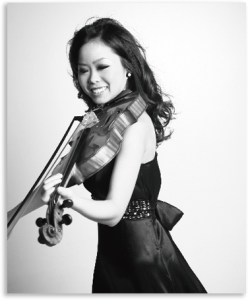 After she returned to Taiwan, she held her first flute recital at Forum Music & the Forum Auditorium in 2007. In 2009, 2011, 2013, and 2018, she performed individual flute recitals in National Concert Hall. She is now a member of the NTU Alumni Band. Chang Chia-Chi graduated from the Dept. 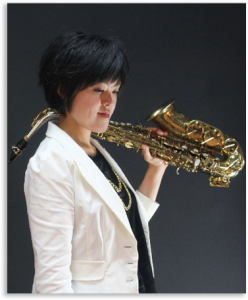 of Music, National Taiwan University of Arts, majored in classical saxophone. Now she is the member of NTU Riot Jazz Orchestra and Con Bello Symphonic Band. She engages in music teaching and performs in many types of jazz performance with the bands. She also loves to cooperate with interdisciplinary art, keep on further studying in music and interdisciplinary learning. She expects herself to be a versatile musician. Lin Wen-Chao studied at the music class for talented students at Affiliated Senior High School of National Taiwan Normal University. He enrolled in the school of violin performance of Hochschule für Musik und Theater Hannover in 2008, awarded “Konzertexamen” in 2013. 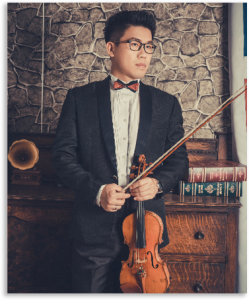 He is a very active musician in Taiwan, and also teaches the talented students in the music class of Nanmen Junior High School, as well as the music class in Summer Philharmonic Art Center, Haishan Elementary School and Jinhua Elementary School. 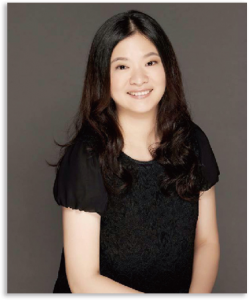 Kao Hui-Ling had always attended the class for music talented students ever since her childhood. She received her Bachelor’s degree at the Dept. of Music, Taipei University of the Arts and a Master degree at the Graduate Institute of Arts and Humanities Education at Taipei National University of the Arts (TUNA). Kao is a very experienced performer. During her time at university, she already made tours in Argentina, Japan, France and Austria. After graduation, she had worked with many orchestra bands for years. Now she engages herself in musical education, teaching violin, viola and piano, and has been teaching at Hsinchu Peiying Junior High School. 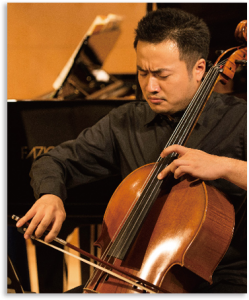 Lee Jian-Hua was awarded the Master degree in Cello Performance at IMUK Graz Internationales Musikkonservatorium. He won the youth group champion in Italy Val Tidone National Music Competition in 2012. He was invited to make a recording performing Schumann Piano Trios and Verdi String Quartet and was broadcasting on the Austrian national public service broadcaster Österreichischer Rundfunk (ORF). In 2017, he was also invited to perform the Schumann Cello Concerto in A minor, Op. 129 in Austra, and received reviews with high praise.